A fluid damper from Fluidampr reduces vibrations in VW and Audi engines, especially if they are modified for extra power, including for racing. 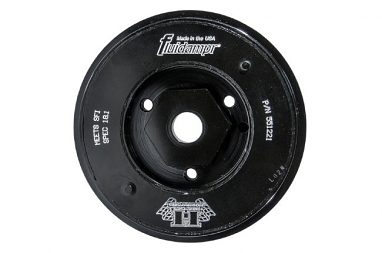 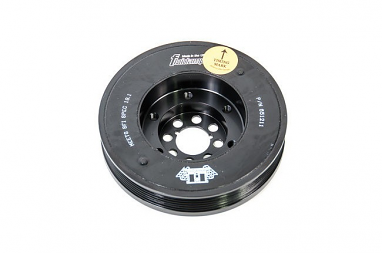 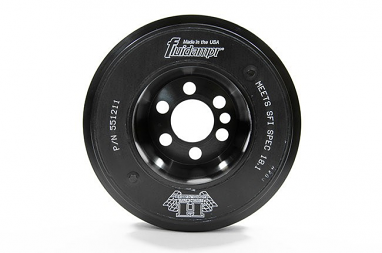 The damper replaces your crank pulley but also performs more important functions: It quells crankshaft vibrations by continuously evening out engine harmonics, and it reduces clutch chatter in engines with lightweight single-mass flywheels installed. 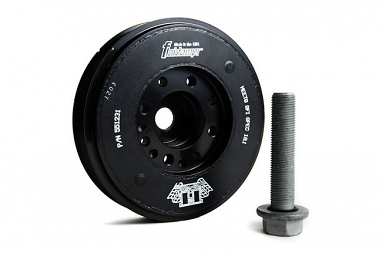 A damper increases horsepower. 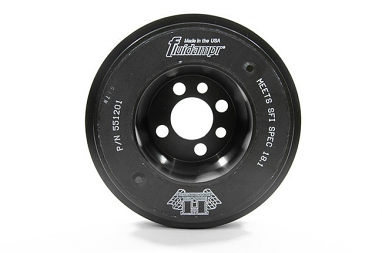 Fluidampr uses a metal flywheel surrounded by silicone inside the casing for reduced wear and long life. 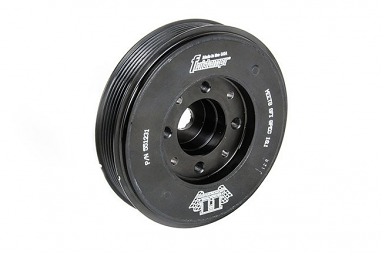 USP Motorsports offers Fluidampr models that work with the 2.0T FSI; a range of VR6 engines, including the 3.2L, 24V and 12V; 1.8T, 2.0T and 2.0 TSI engines, with an extended OEM bolt for mounting; Audis with the 2.7T; with an APR mounting bolt for 1.8T Gen3, 2.0T Gen3, 1.8T TSI and 2.0T TSI; and the 3.0 V6 supercharged.